benno is a beer of hight fermentation with a touch of koriander and curaçaostyle : blondcontent : 33.. 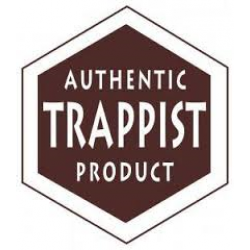 Style: Dark beer (Trappist) Content: 33cl Alc: 10,5° Brewery: Engelszell.. Style: Blond beer Content: 33cl Alc: 6,5° Brewery: De Koningshoeven.. Style: Dark beer (Trappist) Content: 33cl Alc: 7° Brewery: De Koningsh.. Style: Blond beer (Trappist) Content: 33cl Alc: 7,5° Brewery: De Konin.. Style: Dark beer (Trappist) Content: 33cl Alc: 10° Brewery: De Koni.. Style: Blond beerContent: 33clAlc: 6,2°Brewery: Orval.. Style: Blond beerContent: 33clAlc: 8,5°Brewery Tre Fontane..
style : blondalc : 9.5content : 75 clBrewery : achelse kluis..
style : browncontent : 75 clalc : 9Brewery : chimay brewery..